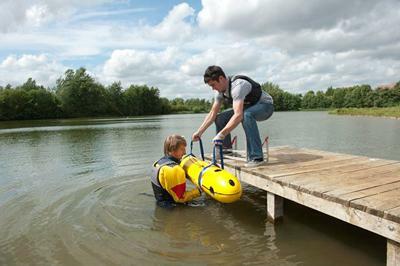 Design, build and operation of a small man portable robot submarine, for exploration of lakes and coastal waters. Vehicle Design: Delphin2 has two side and two vertical rim driven thrusters to provide low speed manoeuvring capability and a rear propeller for flight style operation. 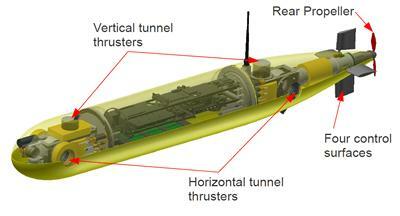 Its low mass of less than 60kg and length of 2m allow it to be operated by a team of two. A forward and downward facing video alongside a scanning sonar, thermal and altimeter sensors provide environmental monitoring capability. Manoeuvring Research: The primary aim of developing the Delphin2 vehicle was to provide a test bed platform for research into the manoeuvring performance of AUVs. To this end the vehicle is frequently deployed in local lakes where it performs various manoeuvres. First Science Trials: Development of the vehicle has progressed to a level such that its performance is both reliable and repeatable; it has therefore become a useful tool for scientific applications. Initial science trials were performed in May 2012 assessing the population of zebra mussels in Lough Erne. Lough Erne is the name of two connected lakes in Northern Ireland. These trials were based in the northern lake, Lower Lough Erne, this lake is 26 miles long has 154 islands and is the second largest lake in the United Kingdom. Zebra mussels are small striped freshwater shellfish native to Russia and since 1996 this species has been invading Lough Erne, juvenile mussels (1-3mm long) attached to vessels are easily transported to new locations. This alien non-native species forms large colonies that attach to any hard surface. The presence of zebra mussels has had a significant impact on the ecology of Lough Erne, resulting in a decrease in chlorophyll and an increase in water clarity, yet their distribution over the lake bed has not been widely studied. 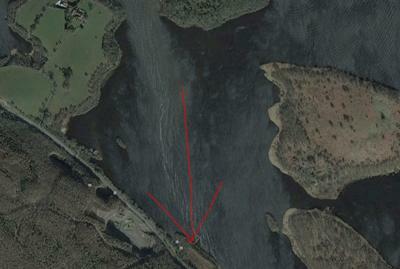 Navigate, on the surface, to the start location using GPS then dive to 1.5 metres depth. Adjust the depth demand to achieve an altitude of 0.75 metres. Proceed at 0.4 m/s on the predefined bearing whilst maintaining 0.75 metres altitude. Once the transect is complete return to the surface and await a valid GPS fix. Return, on the surface, to the jetty. On the surface the position of the vehicle is provided via GPS, once submerged the location is dead-reckoned using a 5 degree of freedom numerical model of the vehicle. The visibility in the lake is restricted to <2m, thus even with lights it was imperative to maintain close proximity to the lake bed in order to capture high quality images. The vehicle was able to maintain a maximum altitude of less than 1.2m, with a modal average altitude of 1m. 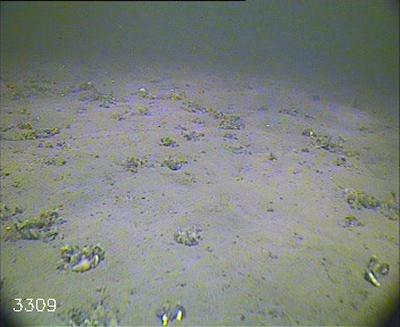 Over these three transects the lake bed largely comprised of silt with limited isolated vegetation and small <20mm diameter freshwater sponges. Zebra mussels require a hard surface to colonise, thus the silty lake bed does not provide an ideal habitat however small localised colonies where observed attached to any solid detritus. Steenson, L., Furlong, M. E., Rogers, E., & Turnock, S. R. (2011). Inverse Model of an AUV Actuator Unit. Paper presented at 17th International Symposium on Unmanned Untethered Submersible Technology (UUST11), . Steenson, L. V. (2011). 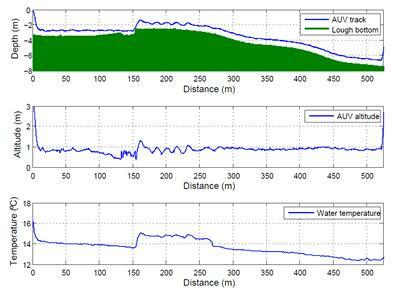 Preliminary results of a hover capable AUV attempting transitional flight. In 17th International Unmanned Untethered Submersible Technology Conference Lee, United States: Autonomous Undersea Vehicle Applications Center.